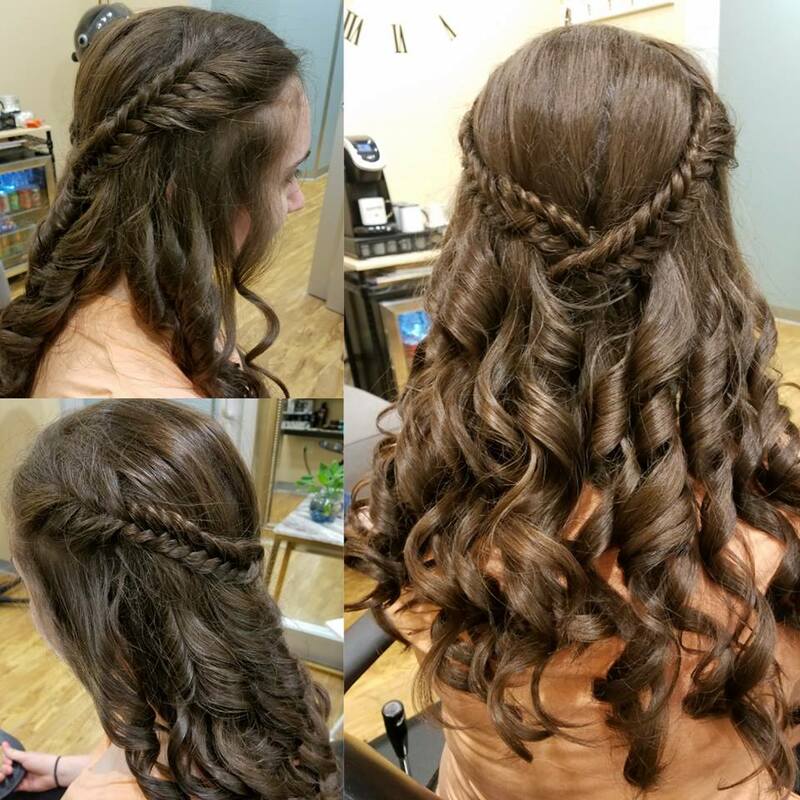 ​Hairstyles by Jess wants each and every client to feel special on prom night, so we’ll work hard to create a unique prom hair look that’s as individual as you are! We encourage you to bring in photos of your dress and some examples of hairstyles you’d like (Pinterest is a beautiful thing!). 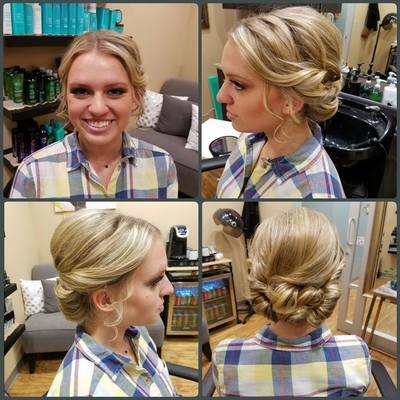 At your appointment, we’ll sit down with you and look over these pictures. We can even add some expert advice into the mix! 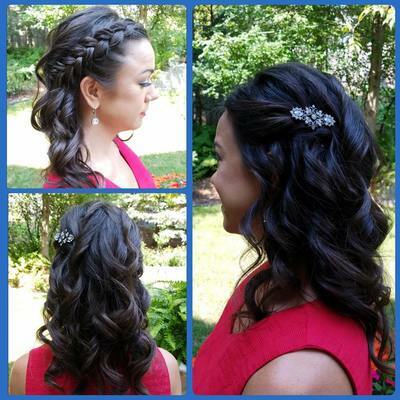 For example, an up-do can show off a backless dress, while long, flowing curls may suit a strapless style better. 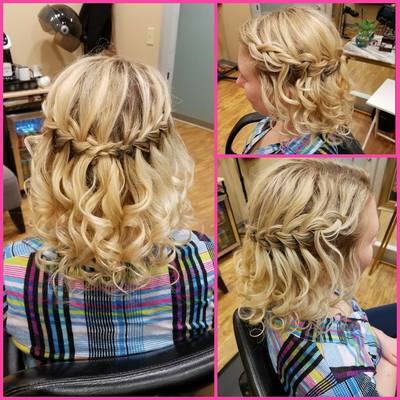 We may even do a quick trial to make sure that the look you’ve chosen feels right to you. Of course, the ultimate decision will come down to what you like best! 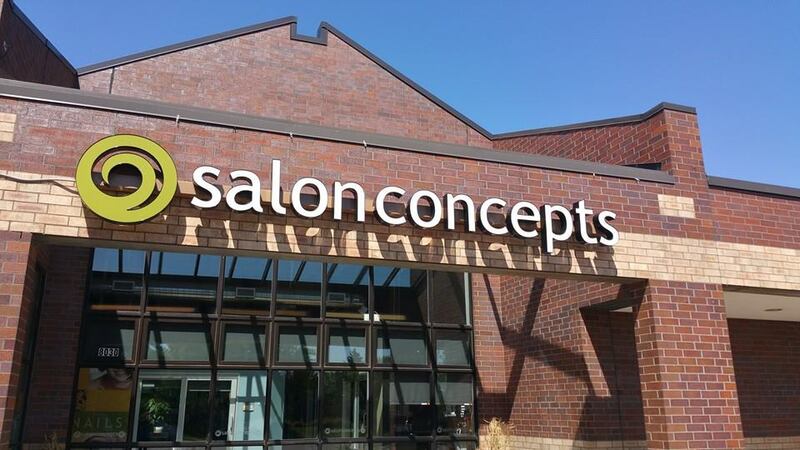 We will take nothing less than our customers’ 100% satisfaction, and we’ll do whatever it takes to earn it! Curls – Curls are go-to style for any special occasion and any length hair. 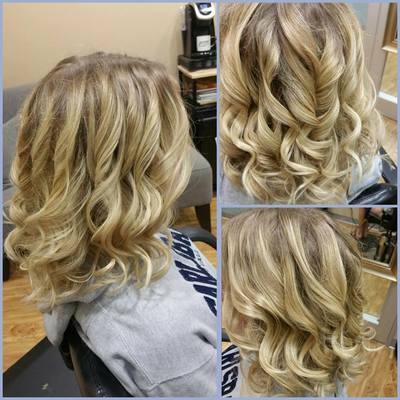 We can create gorgeous spirals or wave that can handle anything – even dancing the night away! 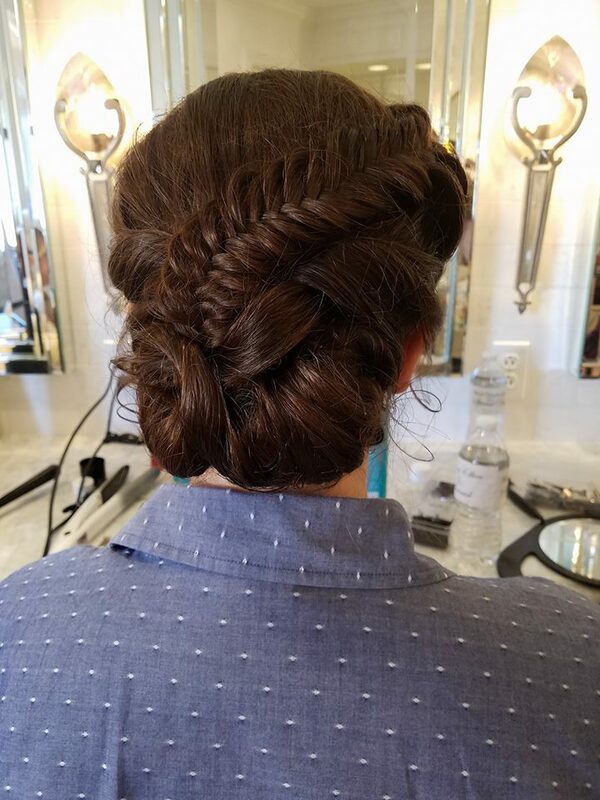 Up-dos – Up-dos are classy and chic, and there are so many variations possible, you can be sure yours will be one-of-a-kind! 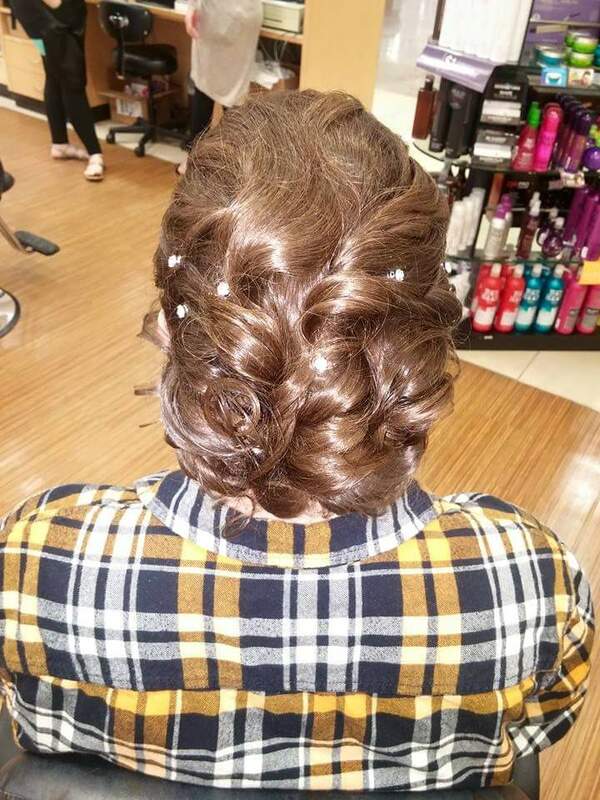 You be sure you really love your up-do! Half-up styles – If you’re undecided or if you have thick hair, a half-up style is perfect for you! You can keep the long curls but still have a cute detail like a braid or flower. Waterfall braids are my all time favorite! 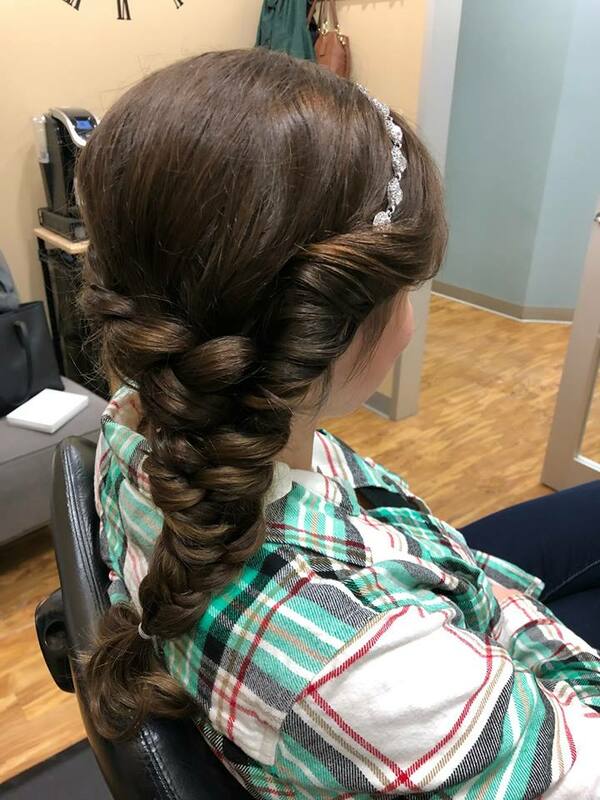 Braids – Braids look great in any type of hair, and they can add a lot of texture and variety to your special occasion hairstyle. 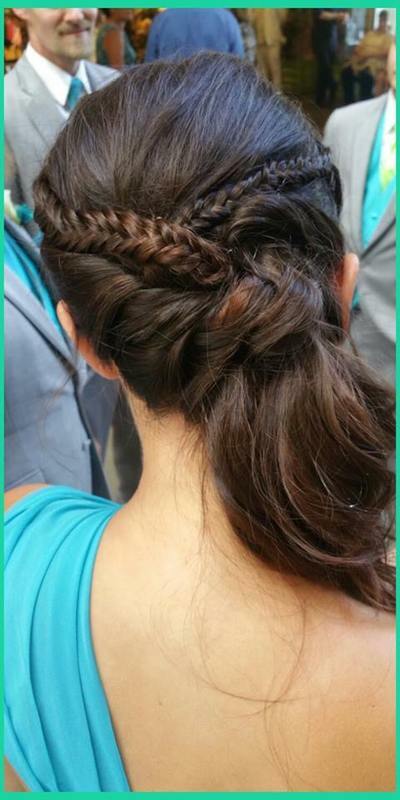 We can add large or small braids to any prom and special occasion hairstyles. 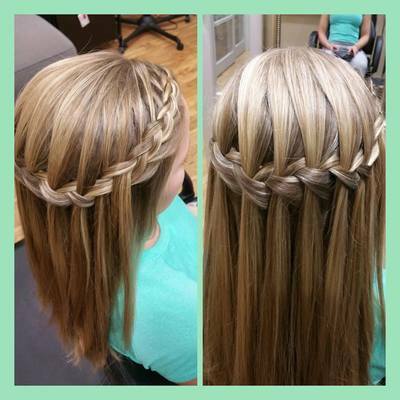 There are so many varieties of braids, fishtails, 4-strand and 5-strand braids. 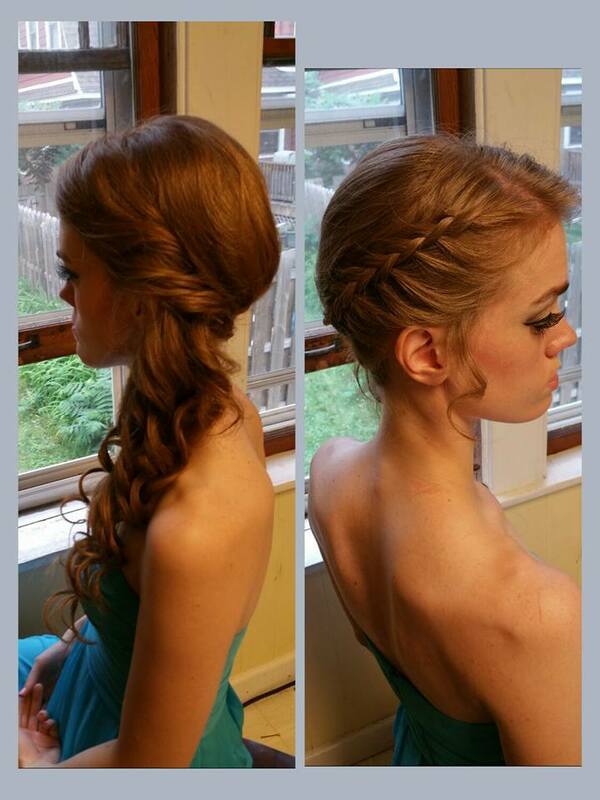 At Hairstyles by Jess we can do them all! Buns- Elegant and chic, or Messy and undone, you can never go wrong with a bun for prom! High or Low buns are never out of style. 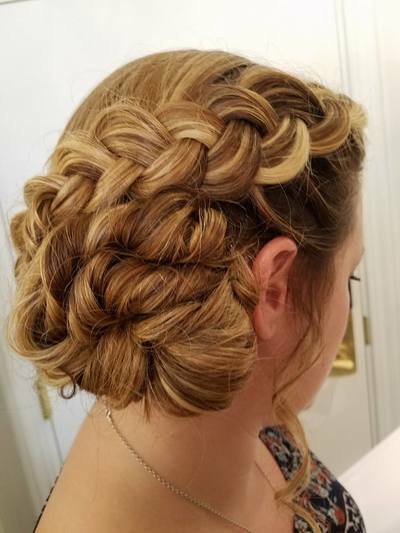 Buns are always a classic. Straight styles – Healthy, beautiful hair doesn’t have to be over-styled to look amazing for a special day. Hairstyles by Jess can give you a flawless sleek straight style for your big event, too! Accessories – If you have accessories such as flowers, gems, or clips that you’d like to include in your prom hair look, bring those along so we can decide the best way to incorporate them! 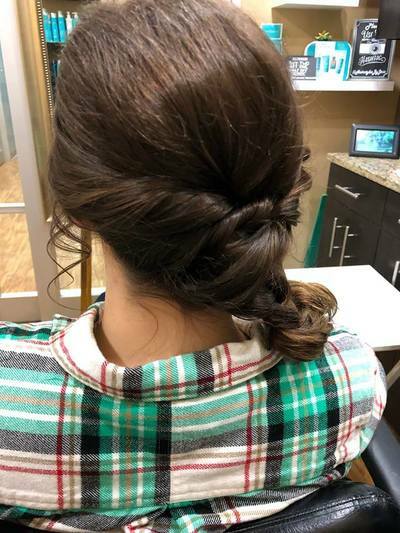 Another tip is to wear a loose or button up shirt to your appointment, that way when you go home to change into your dress you wont have to worry about disrupting your hairstyle. 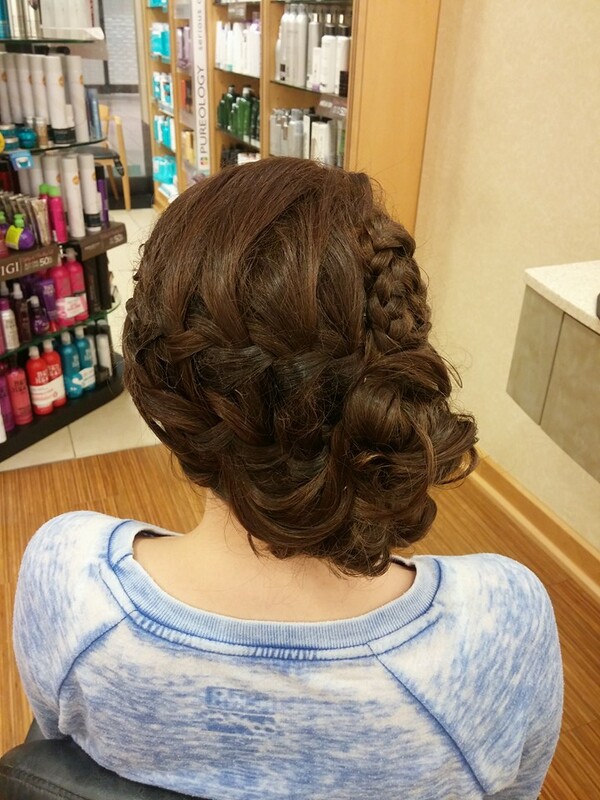 Hairstyles by Jess can create lovely hairstyles for any occasion. 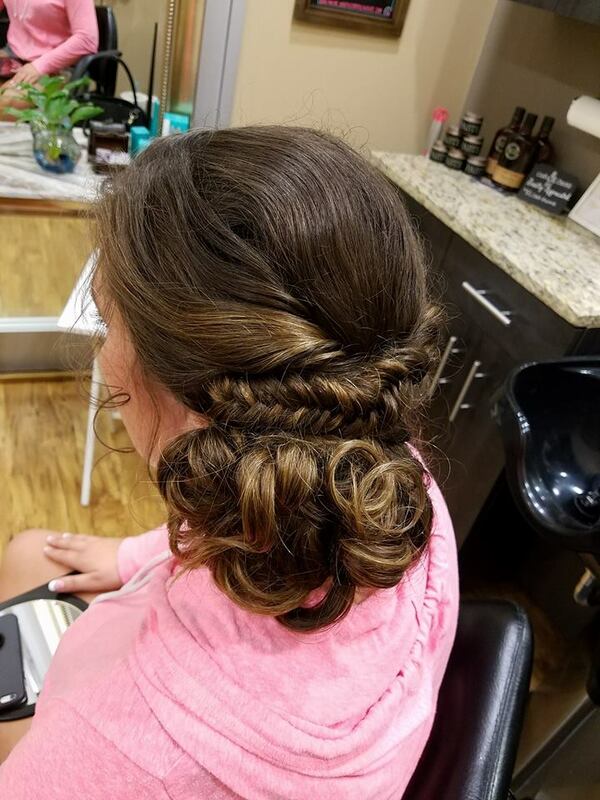 We do all special events, including weddings, formal events, quinceaneras, dances, homecoming, sweethearts dance, birthday celebrations, sweet sixteens, graduation, and many more. 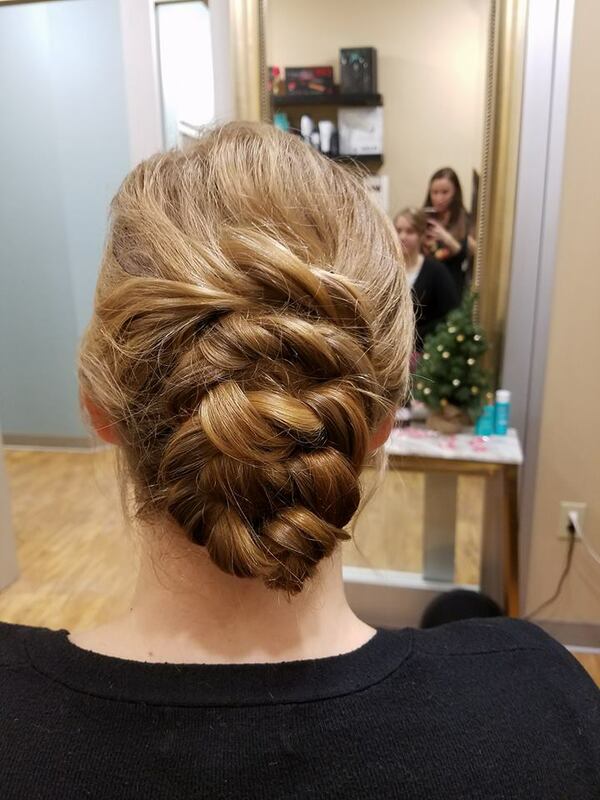 Any special day is a reason to look and feel amazing!! 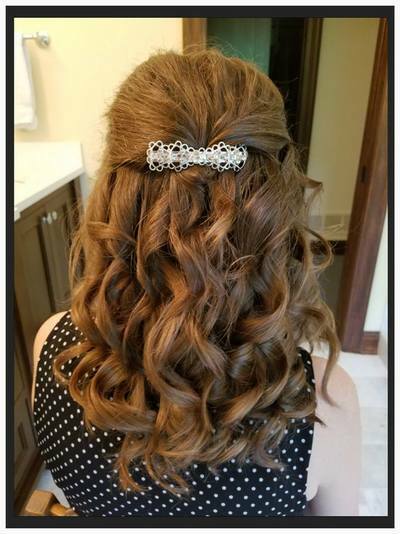 For more info on Wedding hair please visit out On-site bridal hair page! 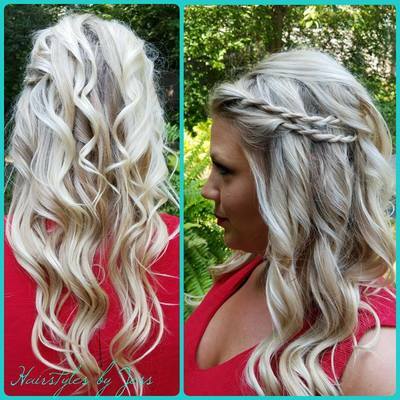 Be sure to check out the gallery page for more inspiration hairstyles!